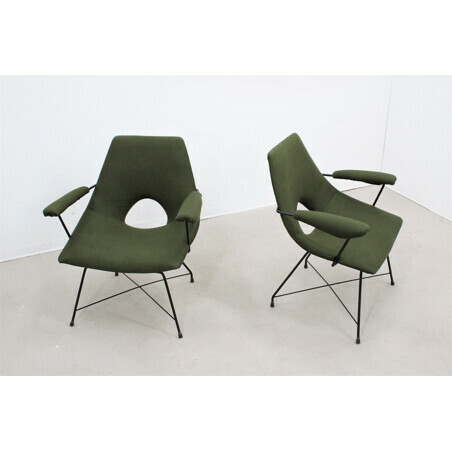 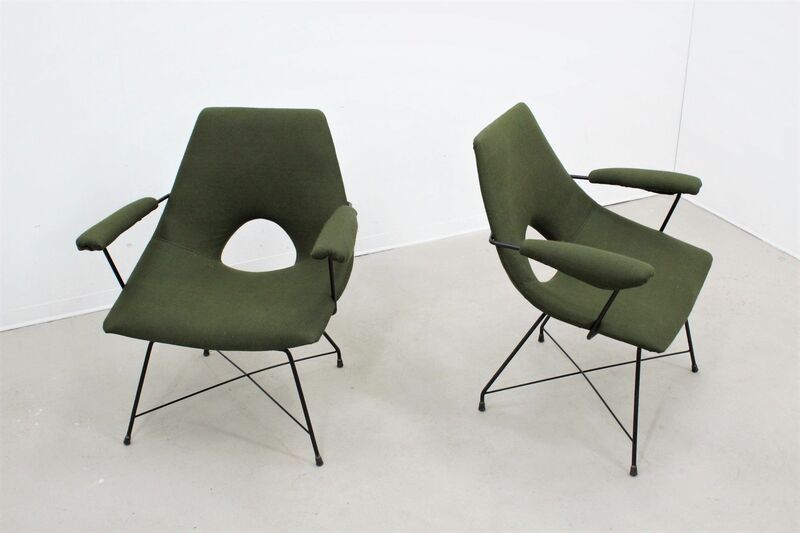 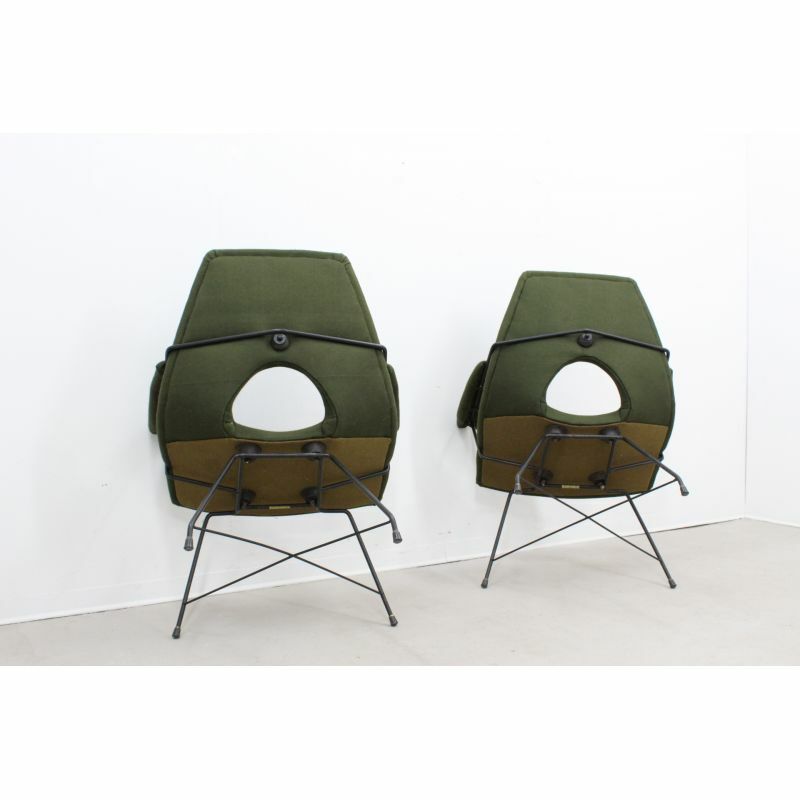 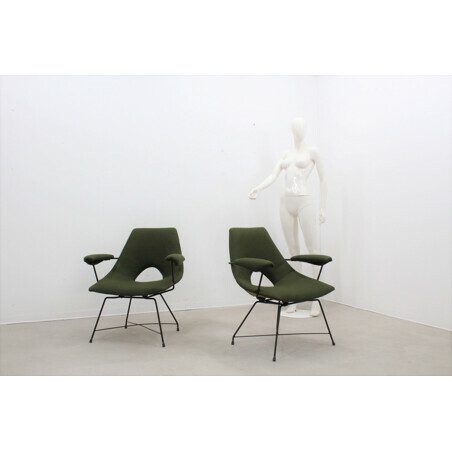 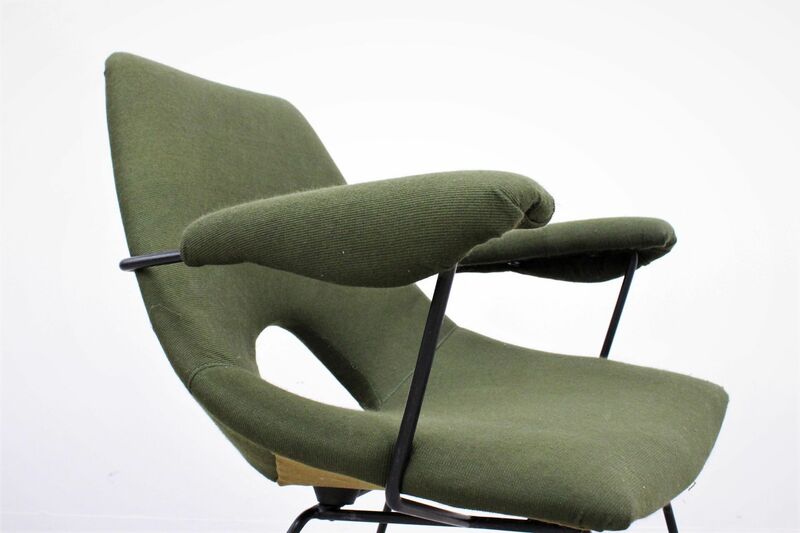 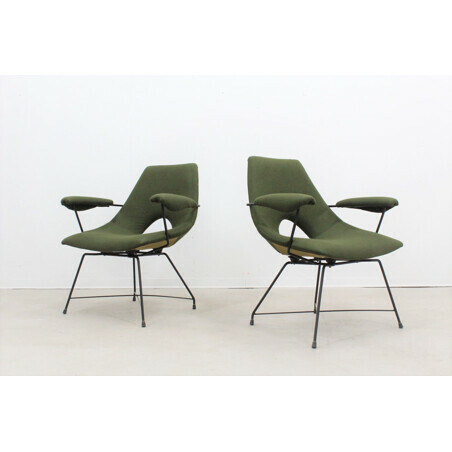 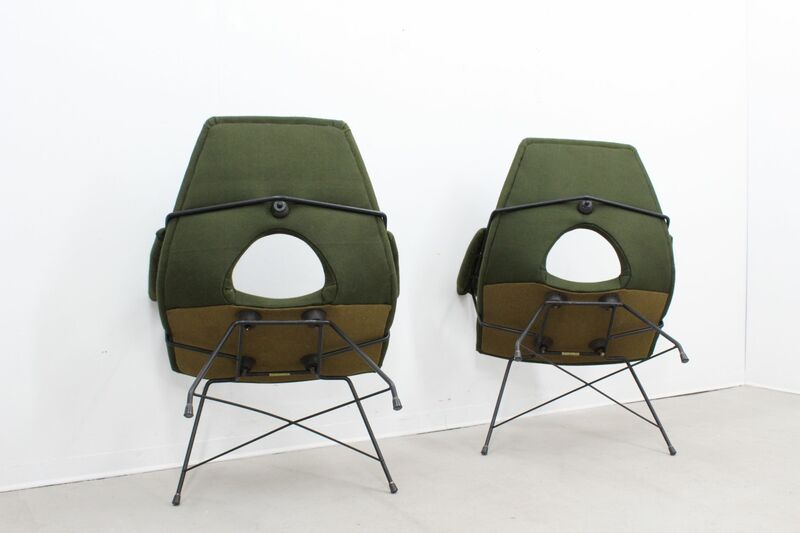 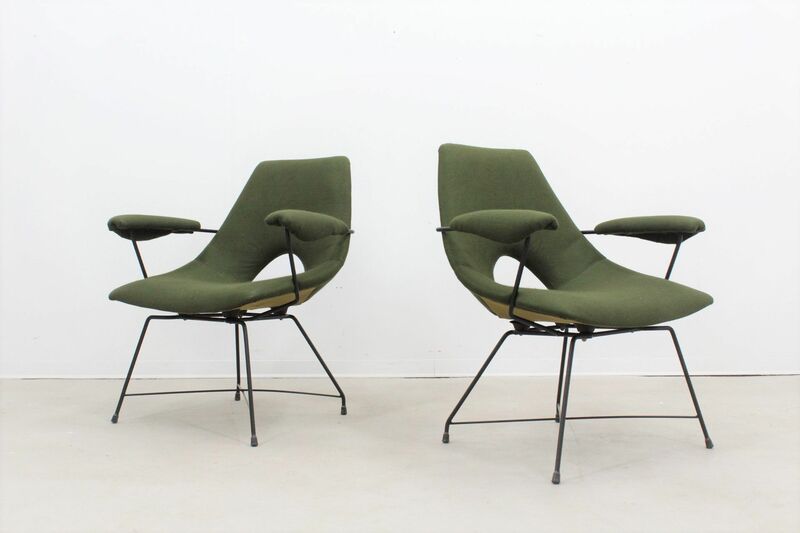 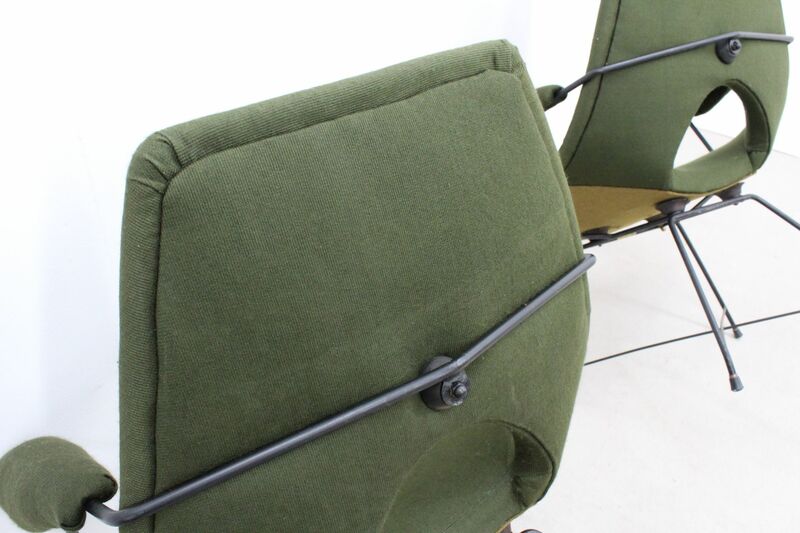 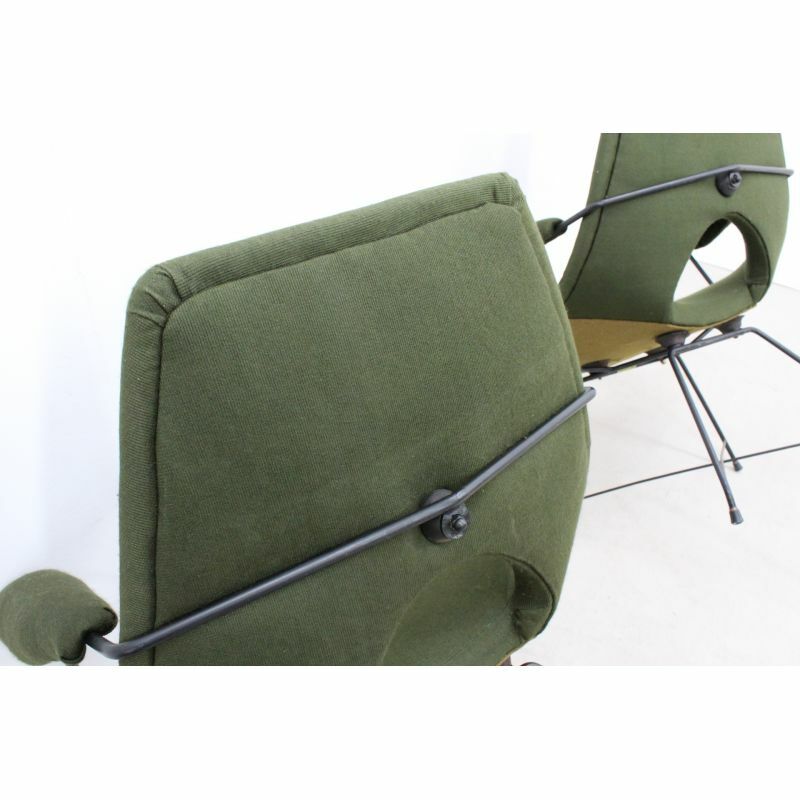 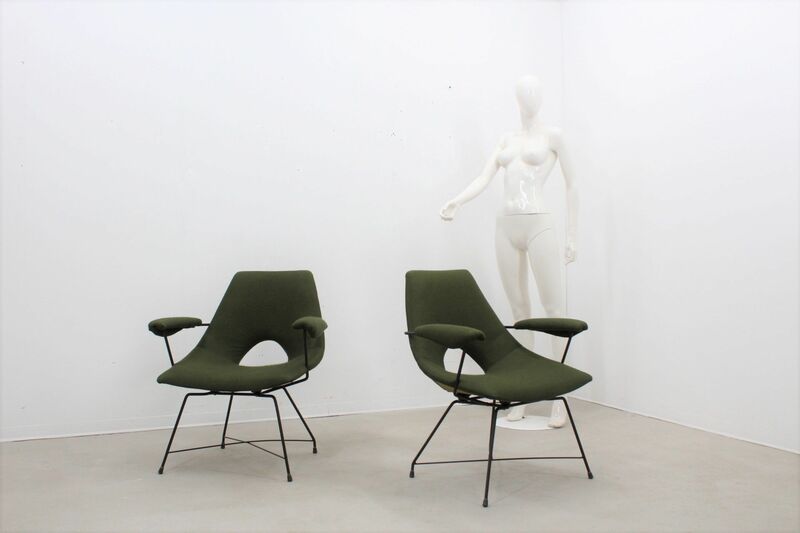 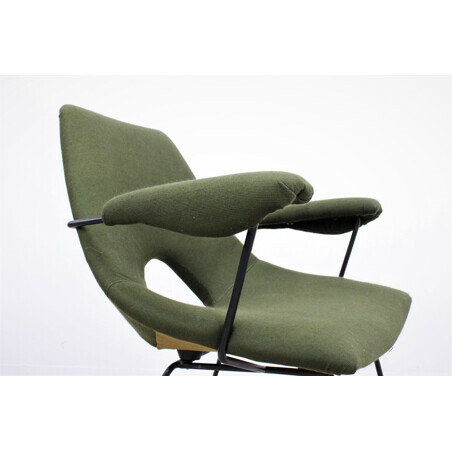 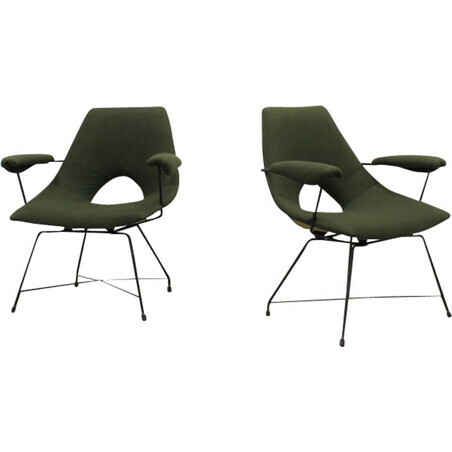 Set of 2 vintage Italian armchairs by Tecnisalotto, Mantova from the 1950s. 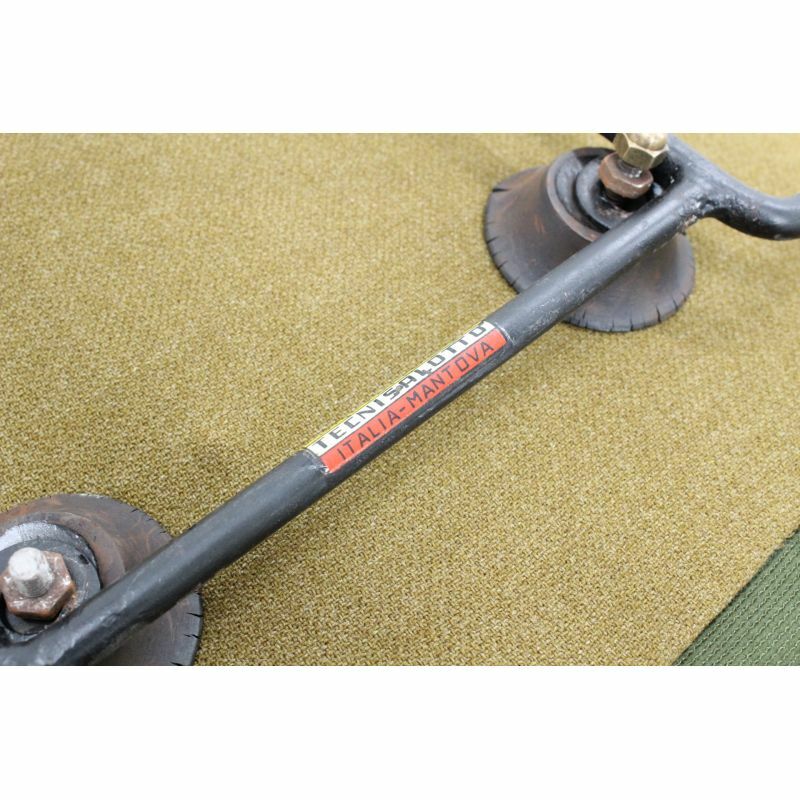 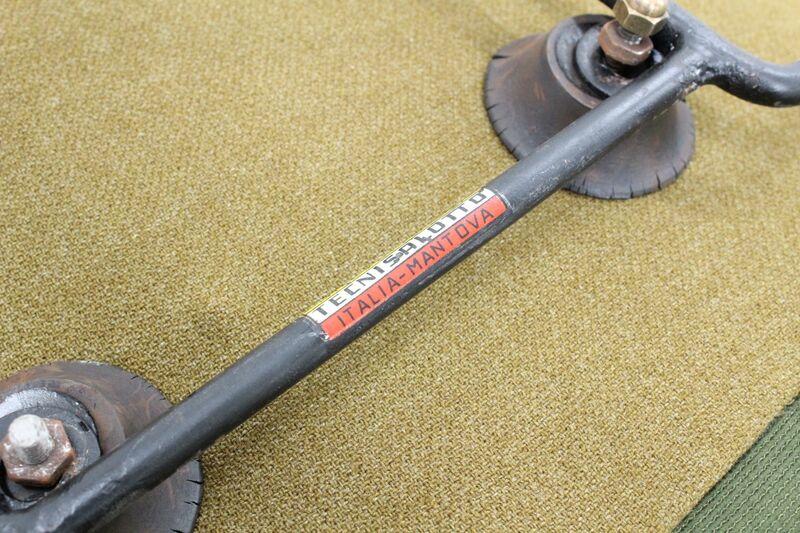 Labeled with the manufacturer’s logo. 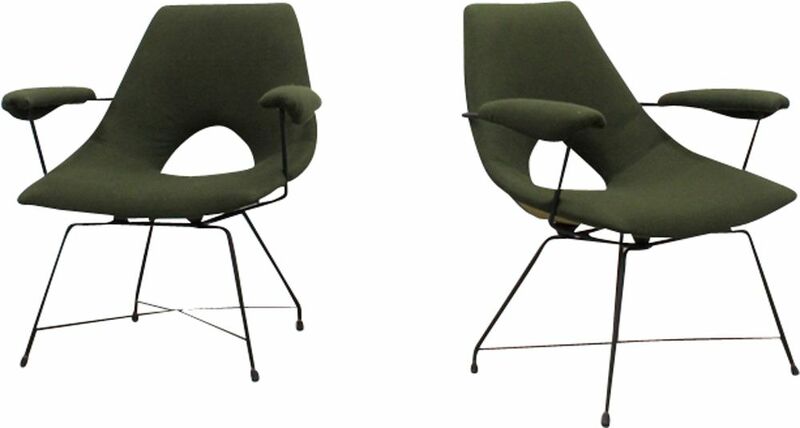 The structure of the seats is a shell made by wood and upholstered in orginal green fabric like the armrest , the legs are made by black paited iron with brass feet.